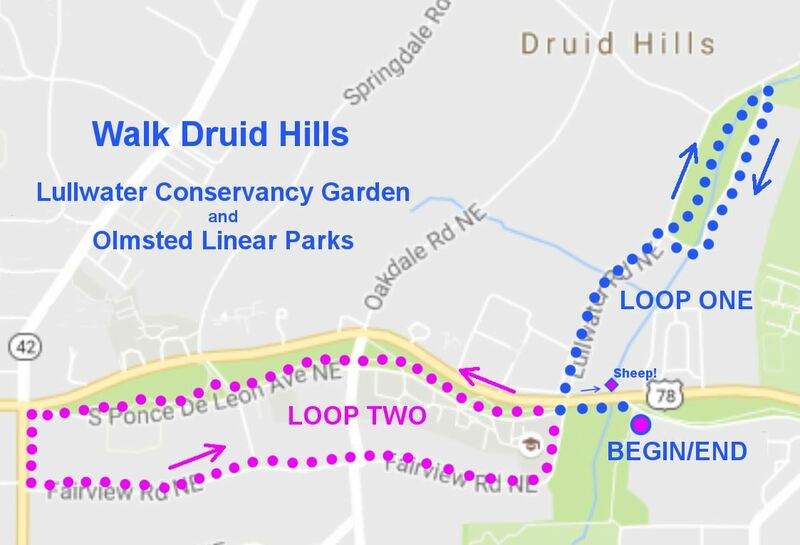 Join your neighbors for the second in a planned series of walks to explore Druid Hills. We'll meet at the intersection of South Ponce and Ponce where the PATH begins near Jackson Hill Baptist Church. Parking along South Ponce is recommended. From there we'll explore the Lullwater Conservancy Garden, three of the Olmsted Linear Parks and even make a visit to the sheep who live at The Lullwater Estate. Meet the group at 9:00 AM on September 10th. Bring a water bottle, and bring a friend! And don’t forget the Lantern Walk on the Beltline later the same day, 7:30 PM. Walk Druid Hills will meet the 2nd Saturday of each month to encourage exploration and active living. Please check the events page for future locations.